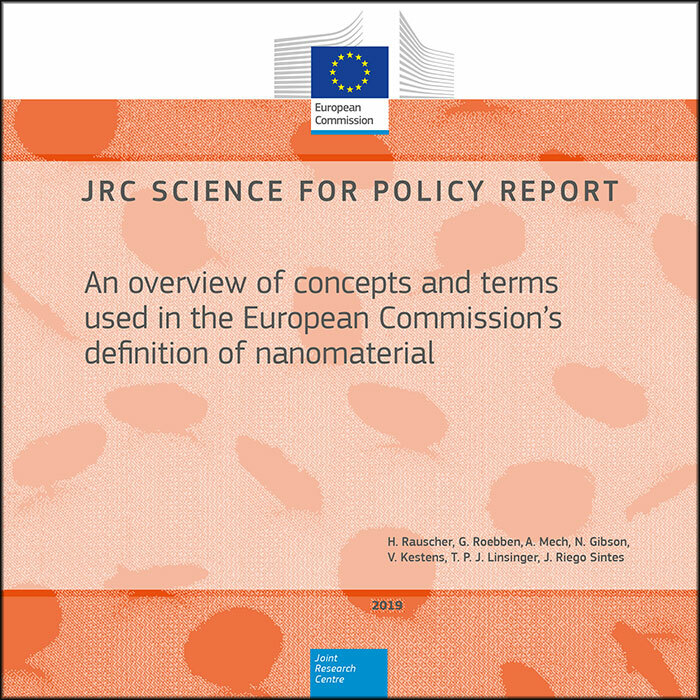 The European Joint Research Centre (JRC) has just published a report to clarify the key concepts and terms used in the definition of a nanomaterial given by the European Commission’s 2011 Recommendation. The aim is to provide the scientific basis for a harmonised approach to its implementation in all specific EU regulations, both at Community and national levels. This report addresses the basic elements of the EC NM definition, the origin of the material, the distinction between nanomaterials and nanostructured materials, the terms ‘particle’, ‘constituent particle’ and ‘material’, external particle dimensions, particle size distribution and the volume specific surface area. • The EC NM definition is horizontal and not sector-specific. It is a Recommendation and is thus not legally binding. It is generally in line with other approaches worldwide, but it is more specific and quantitative than most other definitions. This enables its implementation in a regulatory framework. • The EC NM definition is based on the only feature that is common to all nanomaterials: their nano-scale external dimensions. It categorises a material by the fraction of its constituent particles in a defined size range, measured on the basis of the particle number-based particle size distribution. • Nanomaterials are not necessarily hazardous and a definition based only on size properties cannot differentiate between hazardous and non-hazardous materials. • The EC NM definition applies to all materials regardless of their origin.